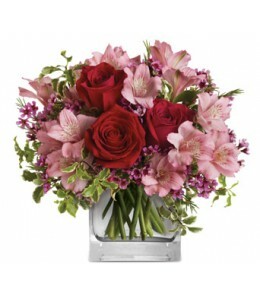 Make her blush with the beautifully blushing blooms of this romantic arrangement. 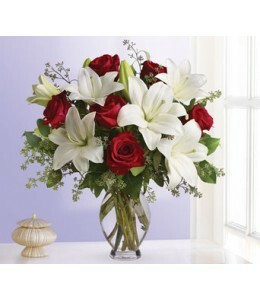 Arranged inside a glass cube that catches the light and radiates your love, it's a heartfelt gift she'll always rememb..
Timeless romantic red roses and fragrant white lilies in a classic glass vase - a sweet yet spectacular way to express what's in your heart.Flowers are subject to seasonal availability. In the event t.. 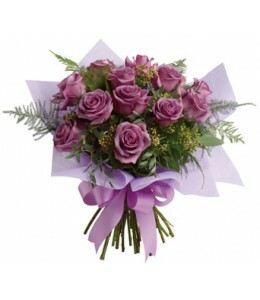 The luxurious choice for the lavender lover in your life, this dazzling dozen will win their heart with its delicate greens and sweet scent.Packaging, container and filler foliage may vary from pictur.. 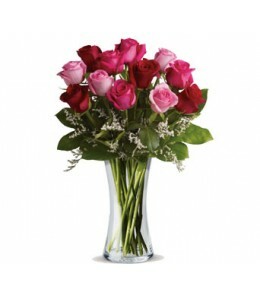 Send a love letter in the form of an enchanting rose bouquet. 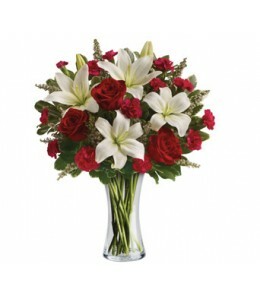 We'll mix red roses for love, pink for devotion and white for the purity of your love.Flowers and gift items are subject to seasonal and r..
What a beautiful bunch! 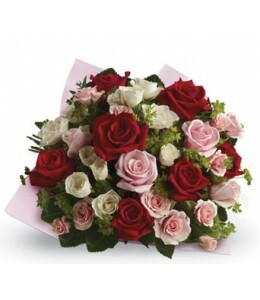 Punch up the romance with this lush, lovely bouquet of whisper-pink roses and delicate greenery.Flowers are subject to seasonal availability. 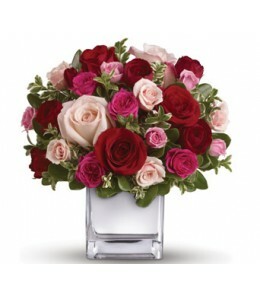 In the event that any of the flowe..
Their heart will break into song when this romantic cube of ravishing roses arrive! 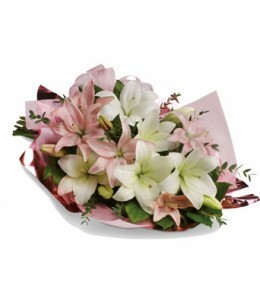 A symphony of size and shade, this red and pink present will hold their heart forever.Flowers are subject to seasona..